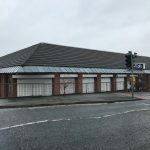 The property occupies a prominent location on Moor Lane in close proximity to the University of Central Lancashire, and a large number of student Halls of Residence. The unit forms part of a small retail parade consisting of a barber’s shop, convenience store and two takeaways. All measurements have been made in accordance with the RICS Code of Measuring Practice. The property is entered into the Rating List at Rateable Value £15,500. The property is available on the basis of a short term lease outside the Landlord & Tenant Act for a maximum period of three years. All rentals and prices quoted are or maybe liable to the addition of VAT at the prevailing rate. An Energy Performance Certificate will be available in due course. Each party are to be responsible for their own legal costs incurred in the transaction.